Connecting Space Hong Kong is excited to be invited to collaborate with the Munich Biennial 2018 to organise the International Biennial Platform Hong Kong – a new and original model for commissioning works for their festival with the idea to strengthen and promote scenic and music projects based on a music theatre concept that is open, versatile, site-specific, and reflects the community. 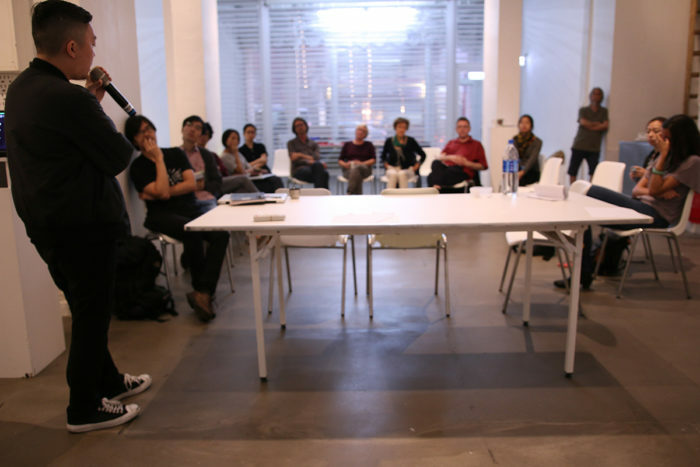 To mark the beginning of a three-year creative journey, in October 2016 the first part of this Platform Hong Kong is to be carried out, which aims for participating artists to get to know different artistic positions and with an intensive exchange regarding the question of how a new music theatre could be conceived and invented. With the support of a team of mentors, the participating artists will work together to design and present project outlines for possible Biennale productions. Established in 1988 by Hans Werner Henze, the Munich Biennial is the only festival in the world dedicated to the exclusive world premieres of new music theatre works. It concentrates on world premieres of theatre-related contemporary music, with a particular focus on commissioning first operas from young composers. Past biennials opened up a multitude of opportunities for young composers to test themselves and their artistic ambitions at the highest level. In 2016, Dr. Hans-Georg Küppers, the Director of the Department of Arts and Culture of the City of Munich, passed the torch to Daniel Ott and Manos Tsangaris as co-artistic directors.